Registrations with payment postmarked by April 16th will be eligible for the Early Bird Discount. 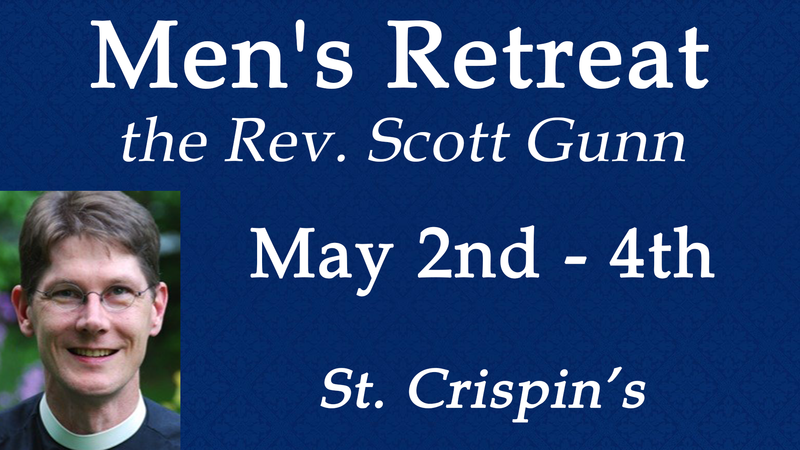 Our Men’s Retreats are a great time for fellowship, worship, study and reflection. This year promises to be special with Father Scott Gunn. He was contacted three years ago to plan for his attendance here, so we’re hoping that we’ll have many men who haven’t attended before. Come and see!